San Jose has been selected to be the pilot city for trials of the highly and fully automated driving (SAE Level 4/5) on-demand ride-hailing service recently announced by Bosch and Daimler. 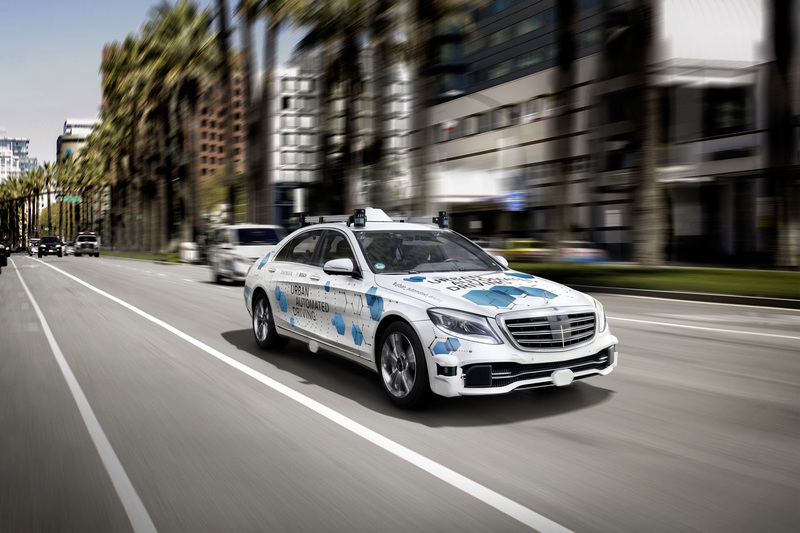 Targeted to begin during the second half of 2019, the trial will see Bosch and Daimler supply automated Mercedes-Benz S-Class vehicles to offer the service to a selected user community in the San Carlos/Stevens Creek corridor between downtown and west San José. As part of the service, citizens will have the opportunity to hail a self-driving car, monitored by a safety driver, from a designated pick-up location and drive automatically to their destination. Sam Liccardo, mayor of San José, said the project will help the city to prepare itself for a future in which autonomous cars hit the streets. “The pilot project is an opportunity to explore how autonomous vehicles can help us better meet future transportation needs,” he added. Dr Michael Hafner, Vice President Drive Technologies and Automated Driving at Daimler AG, said the on-demand ride-hailing service app operated by Daimler Mobility Services will demonstrate how mobility services such as car sharing (car2go), ride-hailing (mytaxi), and multi-modal platforms (moovel) can be intelligently connected. “With this pilot we will generate valuable insights to connect fully automated vehicles in the best way with users of future mobility services,” Dr Hafner explained. Dr Stephan Hönle, senior vice president of the Automated Driving business unit at Bosch, said the test operation will provide information about how highly and fully automated vehicles can be integrated into a multi-modal transportation network. “We have to rethink urban transportation. Automated driving will help us complete the picture of future urban traffic,” he concluded.